Coffee based skincare is on the trend now and every other brand includes caffeine as their major ingredient in their skin and hair care products. While caffeine is not a great ingredient in drinks, it is a great ingredient in skincare products. 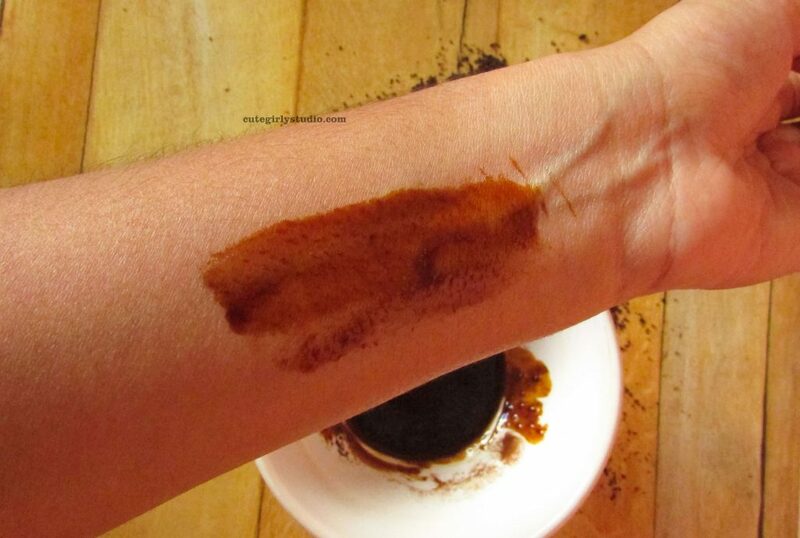 Coffee loaded with caffeine, provides numerous benefits to skin when applied topically. 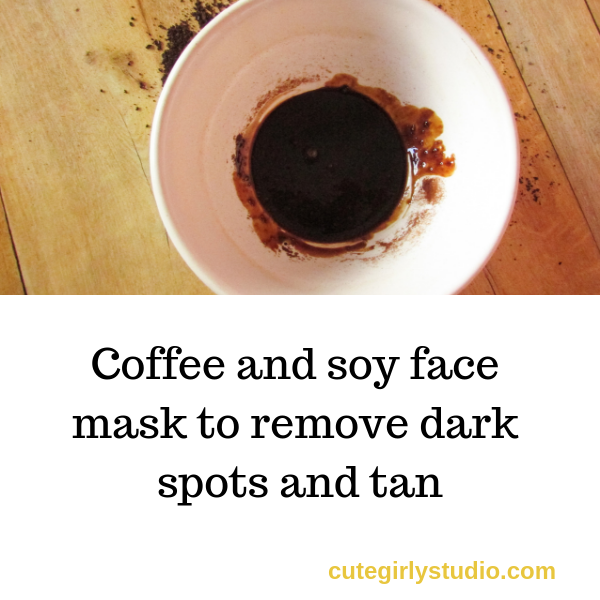 Today I’ll share my most favourite Coffee and soy face mask. Coffee stimulates blood circulation which is good for beautifying skin and making it look supple and glowing. It tightens pores and shrinks them which give skin a flawless and youthful appearance. Antioxidants help protect your skin from free radical damage, and coffee just happens to be packed with antioxidants. It reduces inflammation. Coffee improves the overall complexion of the skin. It removes spots and tan from the skin. Soy milk soothes dry and itchy skin. It hydrates the skin. Soy milk is packed with antioxidants which mean it keeps your skin youthful in the long run. Soy milk is anti-inflammatory in nature and it helps to reduce acne. It softens the skin and also repairs UV damage even when used topically. Soy milk helps to balance sebum production. Thus it works well on both dry and oily skin. Take a bowl and add 2 spoons of instant coffee powder to it. I recommend instant coffee powder since it is extremely fine. 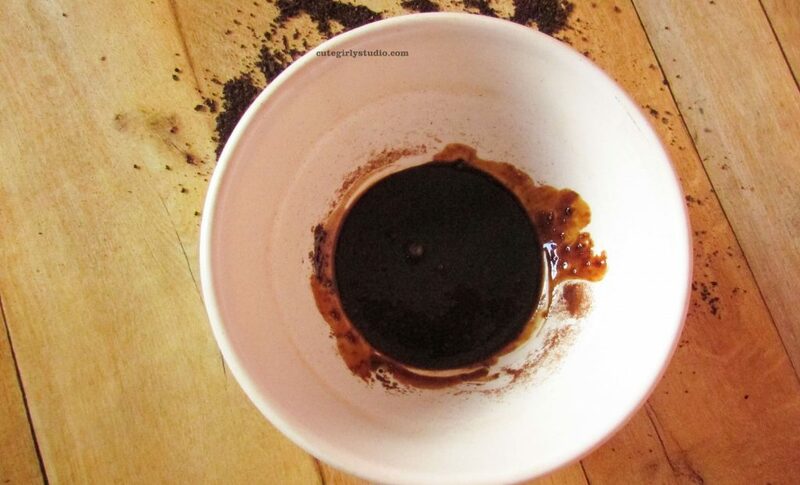 If coffee grounds are used, it will be more of a scrub. Now add 1 spoon of soy milk to it. You can use store bought one also but I use homemade soy milk since I make soy milk for myself every other day. Mix both the ingredients. Coffee and soy face mask is ready. Apply the face mask evenly all over cleansed face and neck. Leave it for about 10 minutes and then rinse it off. Use this mask thrice a week.